John and Yoko were true artists. True because artists seek extreme emotional states, ex: love or deep pain/suffering. They crave to feel, especially the highs and lows of life itself. 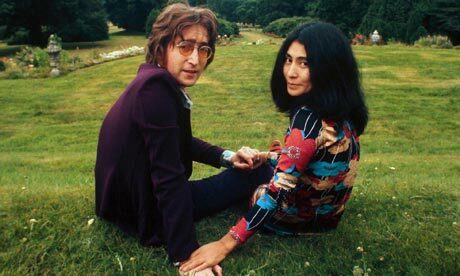 To illustrate after John and Yoko knew they were soul-mates, Yuko made John move to L.A. because she wanted to test their love due to his past infidelity. She basically conducted the entire story as she even chose a pretty Chinese American, May Pang who served as John’s secretary, to accompany John. “Yoko, too, found the separation hard, but was determined not to weaken. [She] thought: “I have to get over this because I can’t be in a position where my existence relies on being with somebody.” Particularly when that somebody was as mixed-up and difficult as John.” To read more on their relationship (abridged extract from JOHN LENNON: THE LIFE by Philip Norman) CLICK HERE. Now I ask you… In life, would you rather experience the extreme highs and lows or be moderately but consistently happy? This is a tribute to the love icons John and Yoko who didn’t feel it necessary to explain themselves to the world. For more photos, CLICK HERE.